55-56 Oldsmobile Copper/Brass 100% New Made in USA radiator. 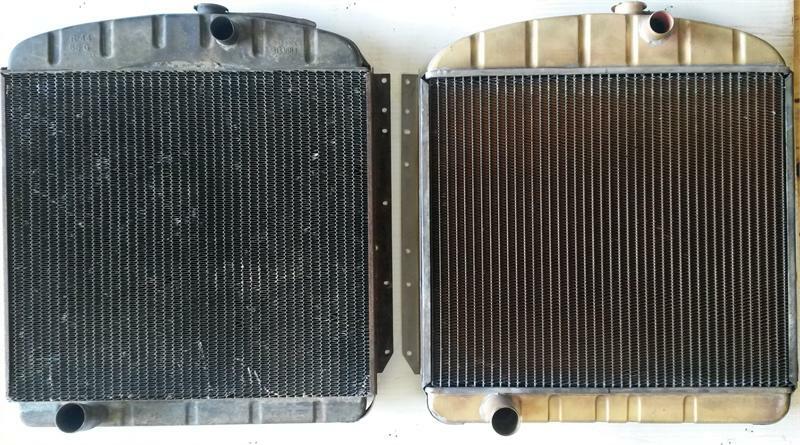 Replaces OEM # 3133684. May also replace others such as 3130604, 3131179. 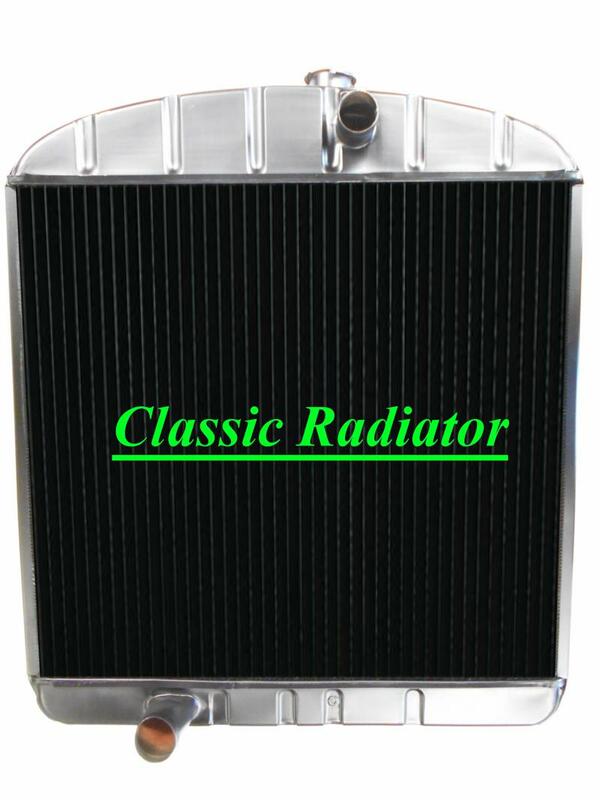 This is a correct appearing and fitting replacement radiator with regular serpentine fin design. The core size is 20" tall x 23.5" wide. 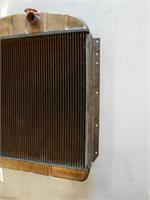 Some of the attached pictures show the radiator prior to painting so that the details are more visible. 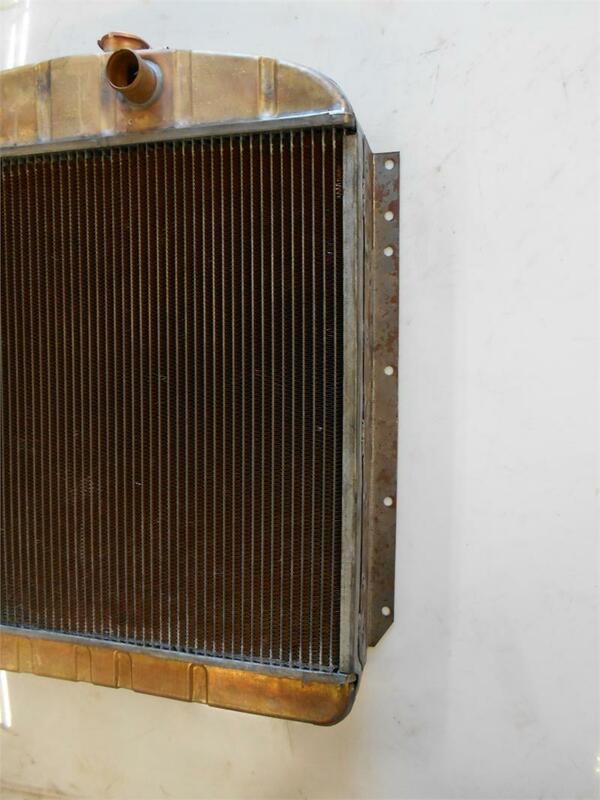 This radiator does not have a transmission cooler. Top neck is 1.5" diameter & lower neck is 1 3/4" diameter. We stock the radiator in both regular and high efficiency core designs. The regular core has the tubes on 9/16" centers and the high efficiency has the tubes on 3/8" centers. 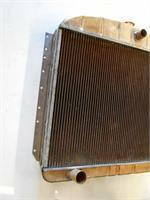 The high efficiency will cool about 18% to 20% better than the regular core because of the denser design and more surface area. 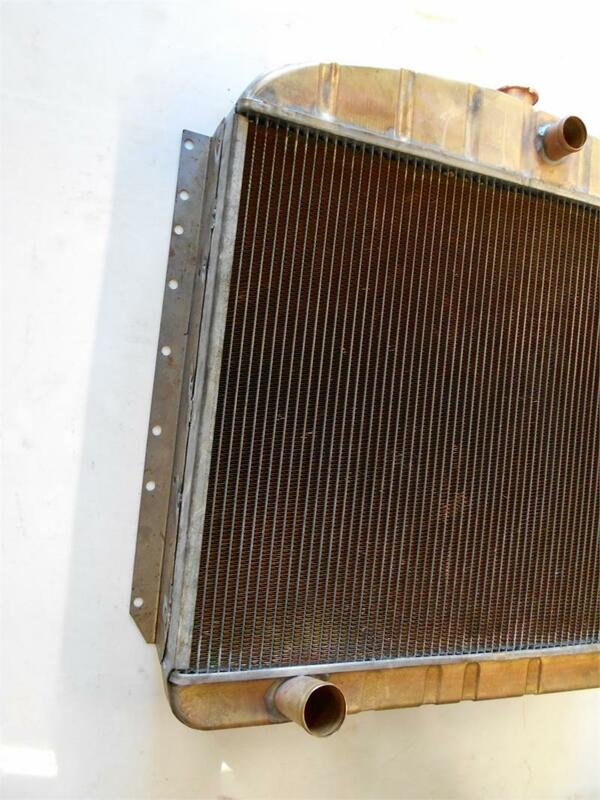 We strongly suggest using the high efficiency core design if you are in a warmer climate.